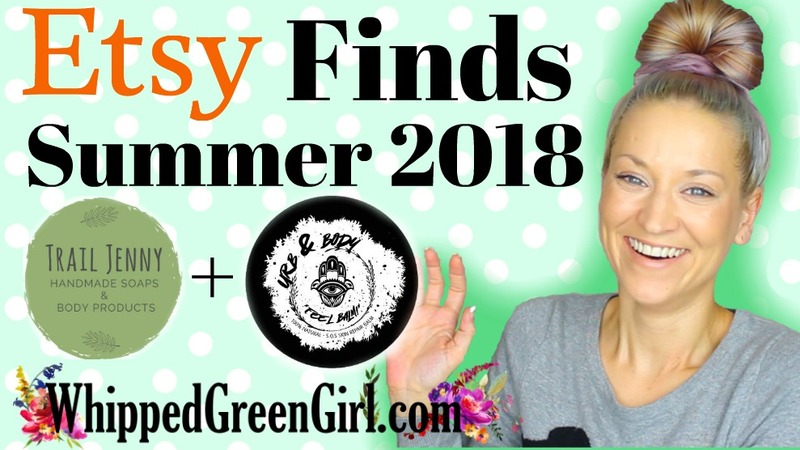 Today, this video + blog post is all about my favorite Etsy Summer 2018 finds! Ironically, on the same day both these companies contacted me via Instagram (URBANDBODY & TRAIL JENNY HANDMADE SOAPS) to review their lovely skin crafts! SEE IT ALL IN VIDEO BELOW! First, from Toronto, ON CANADA! YAY – Urbandbody make a SALVE safe for the entire family. Wee babies included! If you don’t have a good salve at home. Let me, convince you why you need one. I couldn’t imagine life without those svelte skin savers! Nothing complicated URBANDBODY’s salve is 100% pure, natural, void of any toxins! URBANDBODY take 6 weeks to carefully create their calendula oil. Which is solar infused – no heat used! Only the power of sun – amazing. Calendula oil is both a natural ANTISEPTIC & ANTIMICROBIAL agent on skin. It’s one of those carrier oils, I always have on hand for blending! URBANDBODY is in the early stages of growing as a company. Very happy to get on board early and see what they’ll do next! Find them on INSTAGRAM & check-out their lovely Etsy Store too of course. Favorite that while you’re browsing! 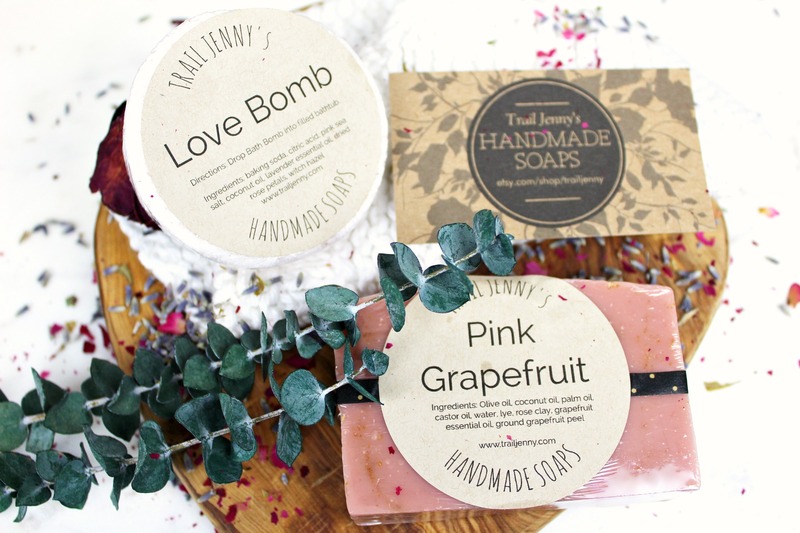 Next, Trail Jenny’s Handmade Soaps & Body Products! Handmade soaps & skincare inspired by nature. Very excited when TRAIL JENNY’S NATURAL SOAP COMPANY contacted me. Personally, I don’t MAKE soap. For me, the process is too long & complicated. I leave it to the pro’s like TRAIL JENNY! All TRAIL JENNY soaps are made using the COLD PROCESS METHOD. This matters cause the final product is natural, non-toxic, and moisturizing – compared to toxic soap bars sold in stores. But COLD PRESSED soaps take a long time to make. Evidence – Trail Jenny Soaps CURE their bars FOR AT LEAST 4 WEEKS before selling – so lovey! (Prices are approx. since the USA/Canadian dollar yo’s yo’s…) Trail Jenny is based out of the U.S.A. They also make BODY SCRUBS, BATH SALTS, BALMS & more… Their Etsy store sports a 5 STAR RATING! So, I’m definitely not the only one preaching this store! GO SEE TRAIL JENNY’S SOAPS STORE IF YOU DIG HEALTHY SOAPS! THANKS FOR WATCHING – ETSY is a treasure trove of handmade skin healing greatness! Get on Etsy and get shopping if you haven’t ever had the chance or thought to! I roll the dice on 90% of my Etsy orders, and I have NEVER been dissatisfied! Until next time beauties! In between time, check-out my other PRODUCT REVIEWS! I’ve never shopped on Etsy. I know my Mom was into it years ago. I think she sold some homemade soap. Looks like a great place for natural beauty finds! Gah, isn’t Etsy the freaking BEST?!! I’m in love! I’m definitely going to have to try out some of these finds!